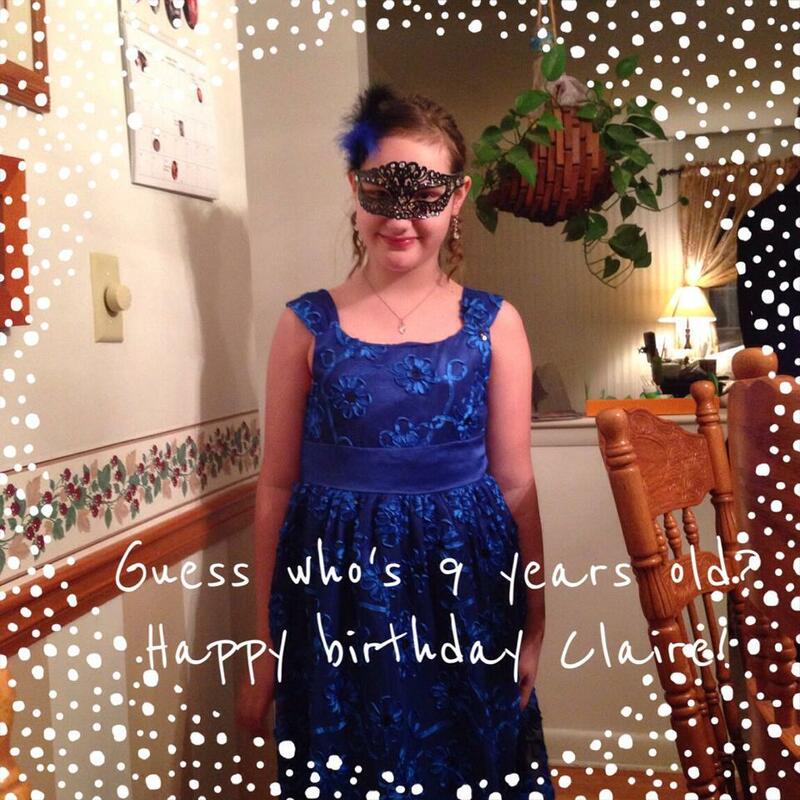 First of all, I MUST wish my awesome niece Claire a very Happy 9th Birthday! I showed you the Card in a Box I made for her on Sunday, but wanted you to see the birthday girl herself! This photo was taken by my other niece Jordan, who did Claire’s hair for the father-daughter dance on Friday night. I have to give a shout out to my sister Sue, (who is much more artistic than I am)- Sue made this mask out of tulle, craft paint, gems, feathers and I think some hot glue. It was a week long process to create this one-of-a-kind special mask. (Although there was a contest for most original mask, alas they didn’t win- but I don’t think the judges asked any questions or looked too closely) What do you think of this mask?? Beautiful, right? Well, onto other big Stampin’ Up News- grab the coffee there’s a lot to report. First of all, today is the first day of Sale-a-Bration! 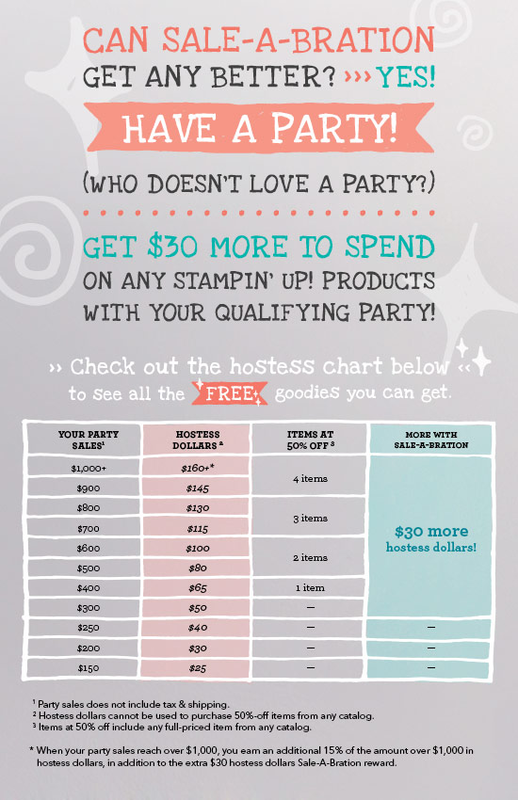 Would you like to see all the new products you could earn for FREE- that’s right, FREE!!! Here’s a link to look at the little brouchure online- let me know if you want me to mail this to you! Here is a new product Stampin’ Up! is offering, while supplies last- it is the new Texture Boutique Embossing Machine. How cute is this?? Have a great day and won’t you please leave me a comment? What would YOU like to earn free from SAB?